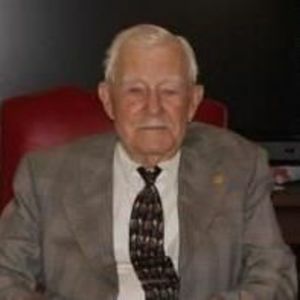 Earnie Lee Strickland, Sr. age 95 died peacefully on Tuesday, January 26, 2016. Born in Rocky Mount he was the son of the late Martin and Louise Strickland. Earnie served his country during WWII in the US Air Force as an aerial gunner. He was awarded the Good Conduct Medal, Air Medal, Eleven Oak Leaf Clusters, European-African-Middle Eastern Campaign Medal, 2 Bronze Service Stars and the Distinguished Flying Cross. He served in the Normandy invasion and the Northern France campaigns. He flew in 71 missions including 24 combat missions. He reached the rank of Staff Sergeant. He returned home following the end of the war and began working with the US Post Office where he worked until his retirement. He married the love of his life Martha Collins and they were married until her death in 1999 for a total of 53 years. They had two sons Earnie Lee Jr. and Martin who both preceded him in death. He was also preceded in death by brothers, Henry and Clarence and sisters Flora Belle and Eva as well as Mary Elizabeth and Martin who died in infancy. He was a lifelong member of Marvin Methodist Church and served his church faithfully. Earnie thoroughly enjoyed his retirement years taking numerous trips with Martha around the country with the YMCA travel group, golfing, church activities and tending his garden. He is survived by his grandson, Steven Russell Strickland and wife Brooke Edwards Strickland, great-granddaughter Emerson Laine Strickland, daughter in-laws, Ann Winstead Strickland and Reginia Langley Strickland, special niece, Pat Evans and Virginia Ezzell as well as other nieces and nephews. At the time of his death Earnie was looking forward the birth of a great-grandson in the spring.